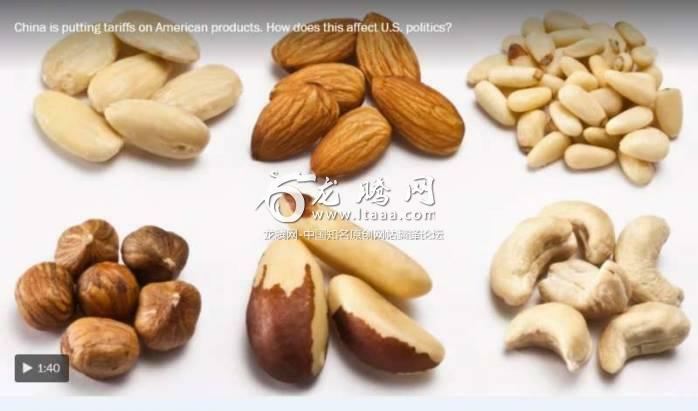 中美贸易大战，谁或成最大输家？（上）（华盛顿邮报） [美国媒体] In a U.S.-China trade war, who has more to lose? Ina U.S.-China trade war, who has more to lose? As the U.S.-China trade spat getsuglier, people in both countries are asking: Who has more to lose? And how doesthis end? China has more to lose economically inan all-out trade war. The Chinese economy is dependent on exports, and nearly20 percent of its exports go to the United States. It sold $506 billion instuff and services to the United States last year. In contrast, the UnitedStates sold $130 billion to the Chinese. “In a serious economic battle, the U.S. wins. There is noquestion about it,” said Derek Scissors, a resident scholar atthe American Enterprise Institute who has helped advise the administration onChina. But this isn't just an economic fight, it's also political, andthere’s a strong case that President Trump would be less able tosustain a protracted conflict than the Chinese — especially with the 2018midterm elections coming. Chinese President Xi Jinping runs a communist country that hasjust granted him theability to rule for life. He controls themedia in his country and is also sitting on top of about $3 trillion in surpluscash. All of this means Xi can react quickly to Trump. He caneven aid Chinese companies that get hurt in the coming months andsubsidize soybean prices so Chinese consumers don't face massive sticker shockat the store. The Chinese used similar tactics during the global financialcrisis of 2008 and 2009, spending heavily from their surplus reserves to stimulatetheir economy and insulate their people from pain. The Chinese cashreserves are not as large now, but they still have more than the United Stateshas. Trump doesn't have it so easy. He's already getting phone callsfrom Republican lawmakers who are angry at what he's doing with the tariffs. OnThursday evening, GOP Sen. Ben Sasse of Nebraska accused the president ofhaving "no actual plan to win right now"and "threatening to light American agriculture on fire." Trump faces backlash from Wall Street, fromexecutives of companies such as Boeing and from soybeanfarmers in the Midwest, many of whom votedfor Trump and feel betrayed. Some GOP leaders fear Trump's actionscould costthe party seats in the 2018 midtermelections. While much of the focus so far has been on tariffs — Trump hasthreatened to put tariffs on about $150 billion worth of Chinese goods andservices, and China has respondedso far with threats of tariffs on $50 billion of U.S. goods — China has more levers it can pull to punish the UnitedStates. The Chinese could stop cooperating on North Korea, theycould sell some U.S. debt to roil markets and they could make life harderfor U.S. companies operating in China, such as Nike, Disney or Apple.These Chinese actions are seen as unlikely, especially selling U.S. Treasurys.For the Trump administration, corresponding moves aren't even on the table,as the U.S. government doesn't have as much direct control over companiesoperating within its borders. Trump is in a tricky situation. He has long argued theU.S. isalready in a trade war with China and that the U.S. has been getting attackedfor years. He appears ready for a fight. As his press secretary SarahHuckabee Sanders said Wednesday, "We may have a little bit ofshort-term pain, but we're certainly going to have long-term success." He is also feeling confident after his administration renegotiatedthe South Korean free-trade deal togive U.S. automakers greater access to that market. But South Korea is theworld's No. 11 economy, and the country depends on the United States formilitary aid. China is the No. 2 economy, and it does not feel the same degreeof pressure to give in to Trump. Domestically, Chinese politicians face pressure to project theircountry as a world power, making rolling over for a bellicose U.S. president awildly unpopular proposal. “There is no way on earth China can be seen to be kowtowing tothe U.S. on this. Xi cannot say: All right, Trump threatened us, so we'dbetter give in,” said Phil Levy, a senior fellow at the Chicago Council onGlobal Affairs.